Remote access software allows you to remotely control one computer from another. By using remote access software - you can take over the mouse and keyboard and use the computer you’ve connected to just like your own. It is really useful for lots of situations, from helping your mother who lives hundred miles away, solve a computer issue, to remotely holding a conference from one city to another. In general, remotely accessing a computer requires that a piece of software be installed on the computer you want to connect to, called the host. Once that’s done, another computer or device with the right credentials, called the client, can connect to the host and control it. TeamViewer is a free remote access software for your computer. With the help of this freeware you can remotely access any PC anywhere in the world. TeamViewer lets you share the screen of your PC with your associates, relatives, colleagues and close pals. This freeware is totally free for non-commercial and personal use. TeamViewer provides you some really useful features in screen sharing mode and remote desktop access. UltraVNC is a free and handy remote access software for your computer. With the help of this freeware you can remotely control your friend’s computer by using your PC. You can also remotely control your personal PC at home. To remotely control your personal PC or your friend’s PC you can also use the keyboard and mouse. VNC Connect (formerly RealVNC) enables you to remotely access and control your computers from another computer or mobile device, wherever you are in the world. Somewhat more complicated that setting up TeamViewer, VNC connect offers the dependability and features like cross-platform remote control, VNC authentication, encryption, file transfer, collaboration tools and chat, to ensure that your remote connection bodes well for the person on the other end of it. The cross-platform utility allows you to connect individually to a remote computer or also connect multiple PC’s behind a public IP Address. TightVNC is a free remote control software package. With TightVNC, you can see the desktop of a remote machine and control it with your local mouse and keyboard, just like you would do it sitting in the front of that computer. 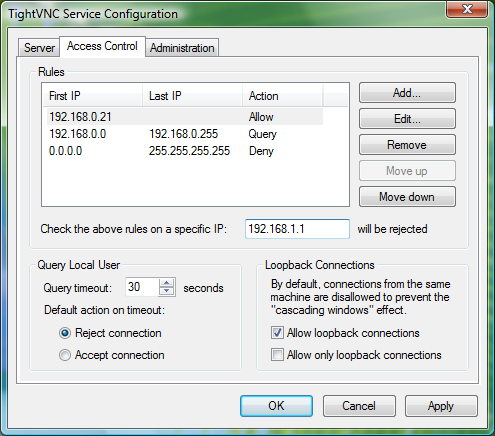 TightVNC can be used to perform remote control and administration tasks in Windows, Unix and mixed network environments. It can be very helpful in distance learning and remote customer support. Remote Desktop Manager is a popular application that is used by professional users, network administrators and IT departments to manage virtual machines and all types of remote connections to and from them. It uses intuitive interface, and supports all connections standards, such as VPN, FTP, SSH, Telnet and many others.